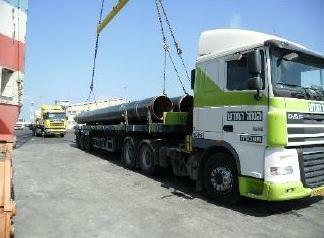 We are pleased to announce Kamor Logistics as new members in Israel. 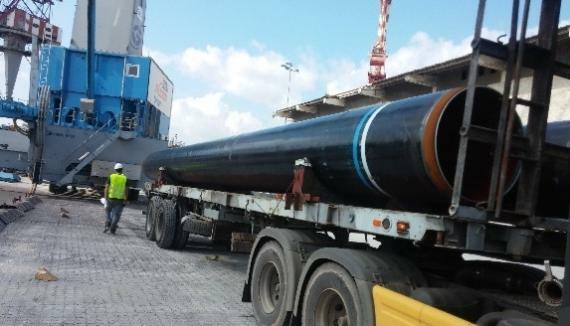 Kamor's offices are located in the two main Israeli ports, Ashdod and Haifa and the company offer a complete range of project cargo, heavy lift, door-to-door, forwarding and customs services. 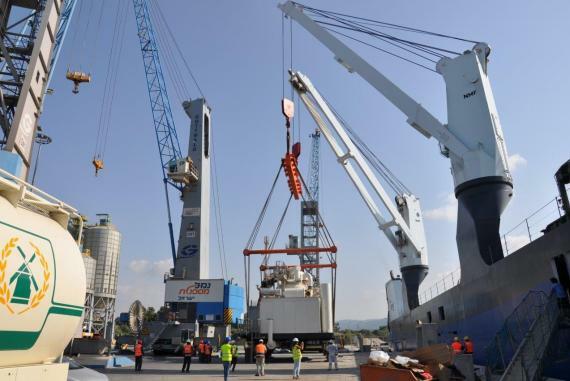 Managing Director, Ido Raban: "Kamor Logistics is the Israeli logistics and freight forwarding arm of the Kamor Group, one of the leading and most dominant shipping companies in Israel. 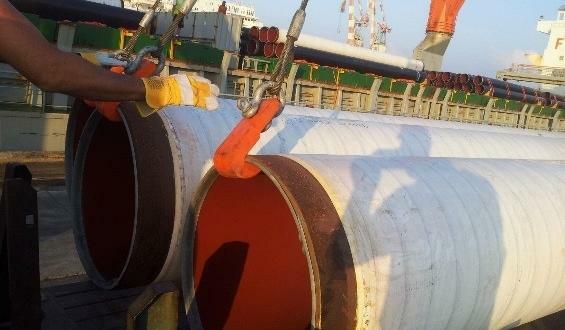 With prominent and reputable managers holding decades of combined professional experience in the local shipping and trade arena, Kamor provides worldwide shipping services via a team of experts specialising in logistics solutions for special projects with a focus on the oil and gas drilling industry, petrochemical plants, refineries, natural and liquid gas installations and infrastructure etc. 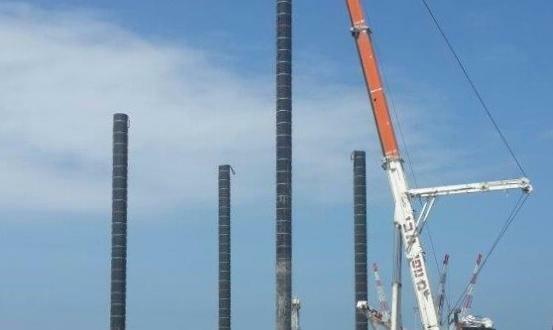 Since our inception, we have specifically concentrated on national infrastructure projects including the renewal of the Israeli Train Network, the construction of the Tel Aviv Underground Light-Railway System, national gas line laying, offshore gas exploration and production, Ashdod Port's new container terminal construction and Haifa Port's new gantry cranes. 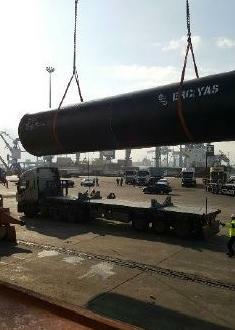 CRTG - A Chinese construction company for whom we were nominated as customs agents and logistics providers. 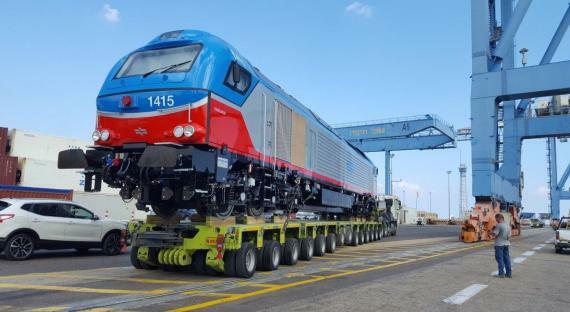 So far, we've imported 3 sets of tunnel boring machines for the Tel Aviv Underground Train Project with 3 more expected in the 1st half of 2017. 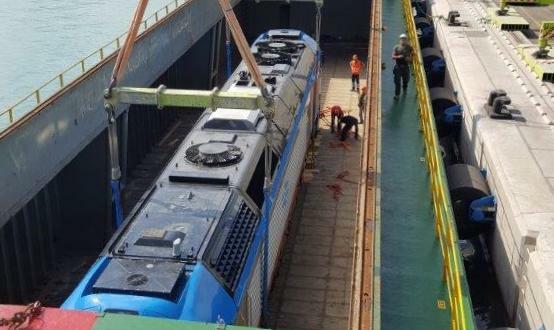 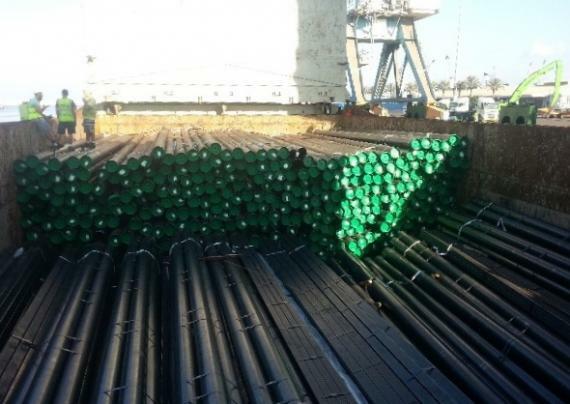 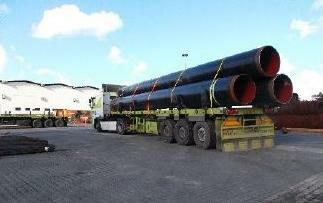 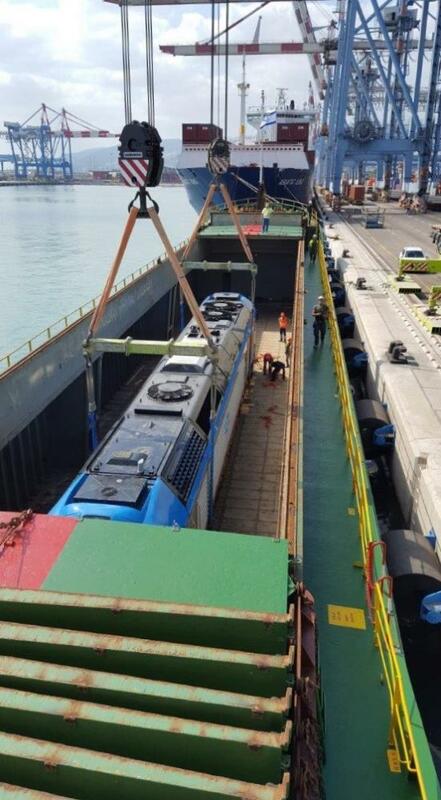 We also serve all other logistics needs for this project and our customs specialists have been able to achieve great support from the authorities, allowing for favourable classification and considerable expenditure savings. 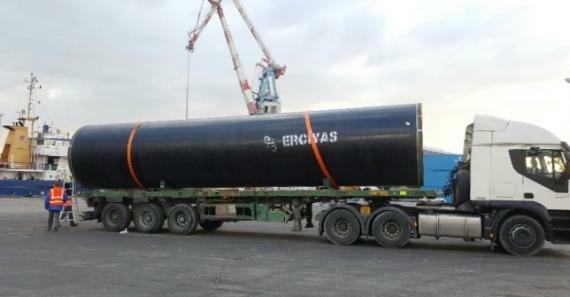 JV of CCECC & Danya Cebus Ltd – An Israeli-Chinese partnership also active on the Tel Aviv Underground Train Project. 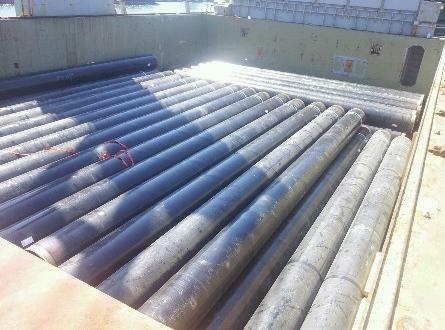 On this account, we are set to handle 2 soon-to-arrive tunnel boring machine sets from Germany, manufactured by Herrenknecht. 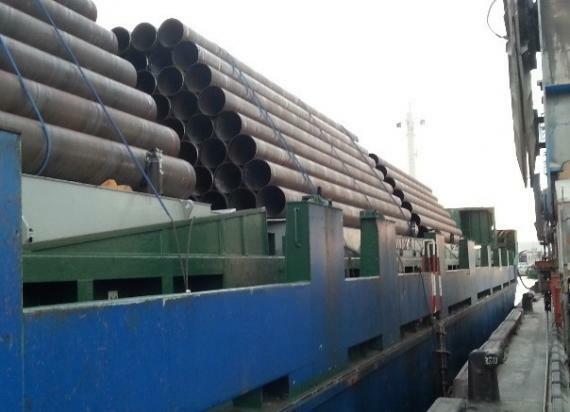 We also handle the further requirements of their sub-suppliers, importing work-site specialised vehicles and other machinery for the project. 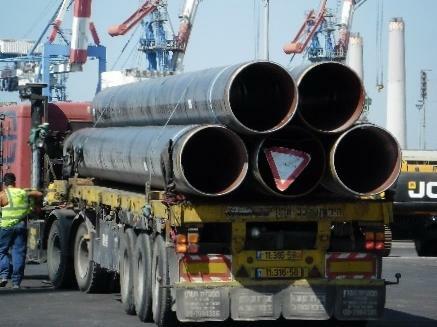 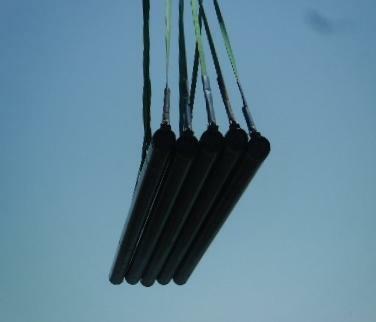 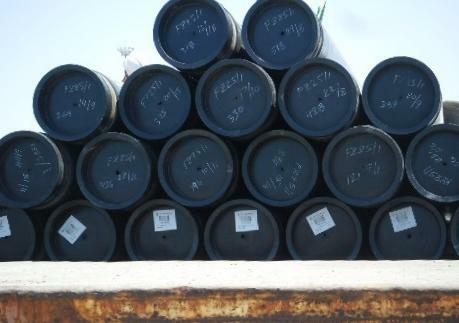 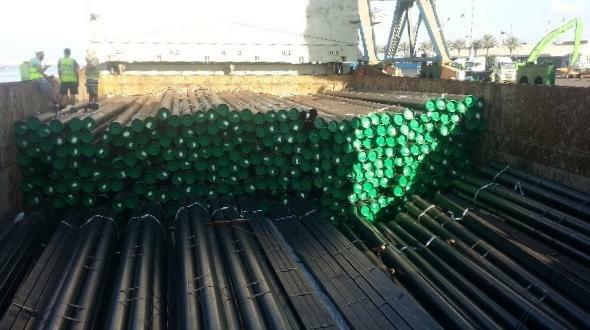 These suppliers find it easier to fulfil their Israeli obligations through a local strong, experienced and dedicated counterpart such as Kamor as we are already familiar with the project concerned. 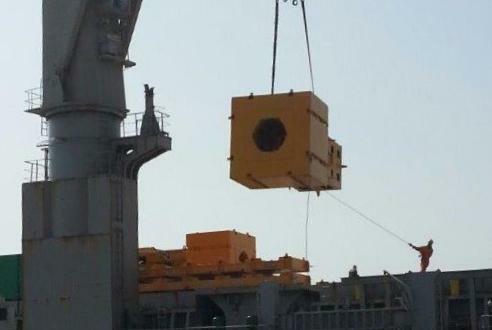 The shipping and handling of modules of a jack-up rig from the UAE to Ashdod as well as the assembly for the new container terminal construction works being conducted there. 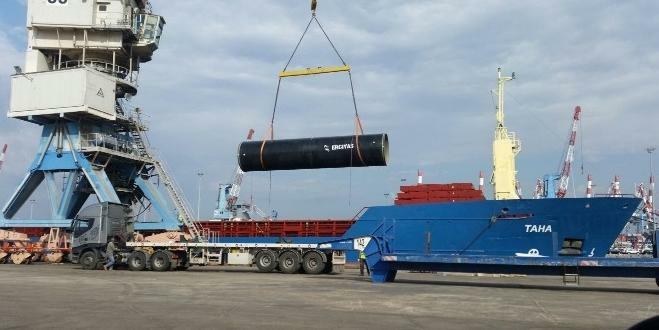 This operation included, beyond the operational and logistical aspects, the need to overcome vessel traceability as the carrying vessel had to sail between ports of belligerent countries not usually allowing direct ocean trading between each other. 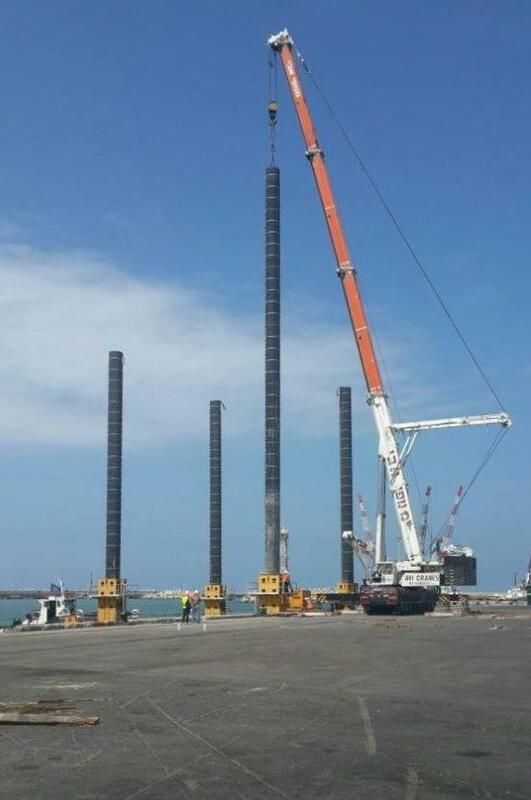 Shipping and handling consignments of dismantled crawler cranes from China to be assembled in Ashdod and used for the port terminal construction work. 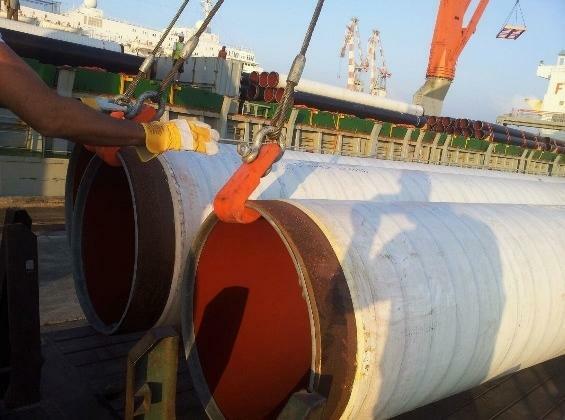 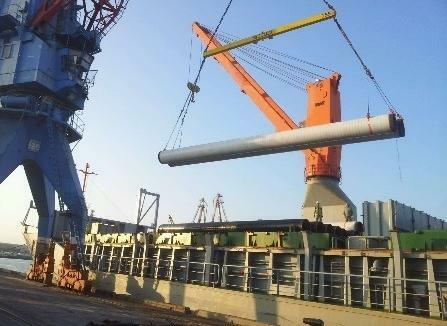 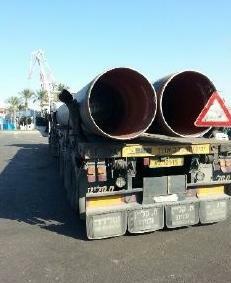 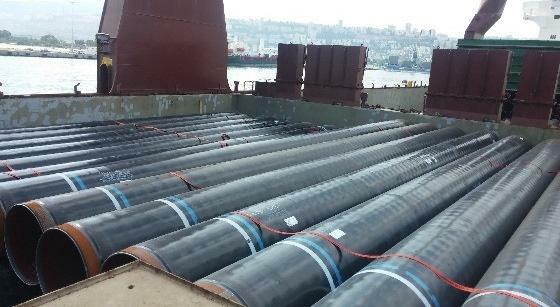 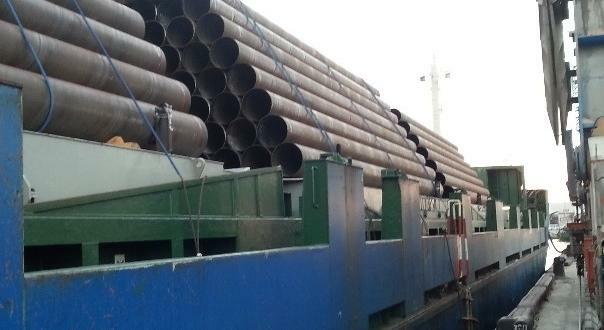 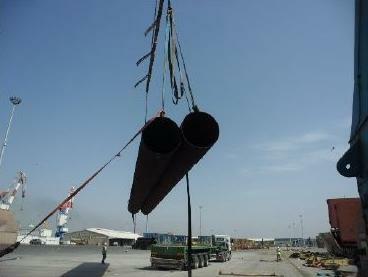 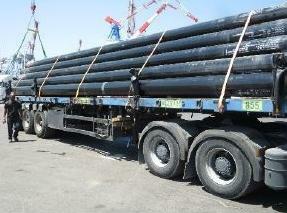 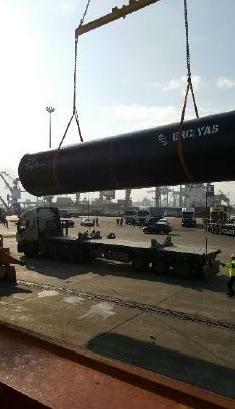 Receiving and commissioning several Chinese work-vessels to be used in the new terminal construction works at Ashdod. 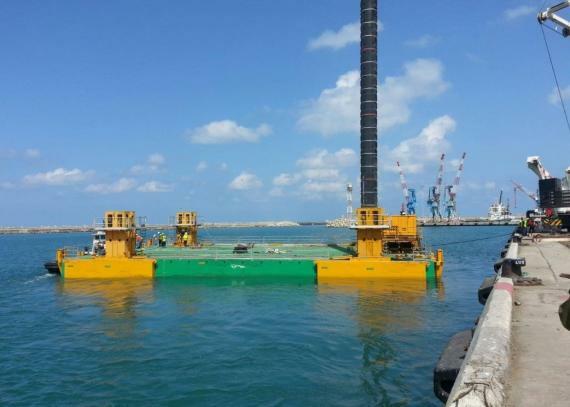 The units arrived on three different shipments of semi-submersible vessels which were carefully handled and discharged in the open sea and on Ashdod roads. 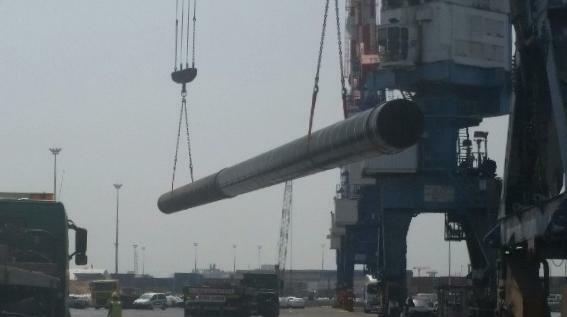 Shipping and handling the carriage of a 160mts OOG piece of cement pump apparatus from Fos in France to its new location in the Haifa Ship Yards Port newly formed cement jetty. 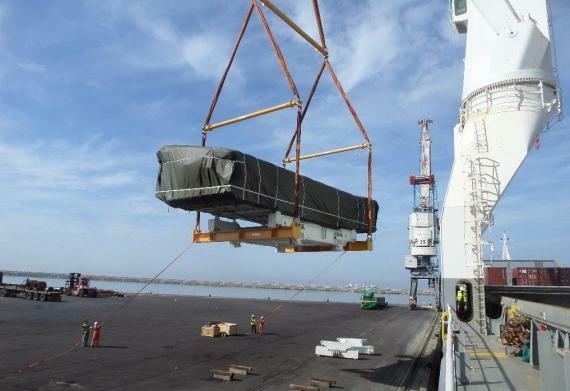 The shipping and handling of a USD $140-million military antenna and its paraphernalia from its Israeli desert storing site to the delivery points on the East coast of India. 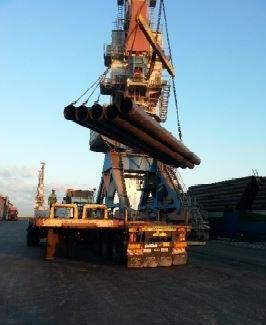 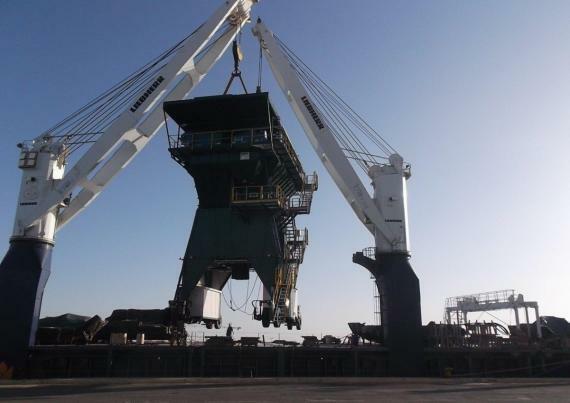 The discharging and receiving of 2 newly built Terex portable port cranes purchased by Haifa Port Company. 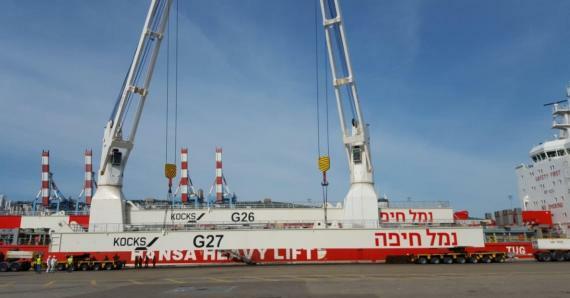 Managing the end-to-end transportation of 2 new USD $20-million KOCKS container gantry cranes purchased by Haifa Port Company. 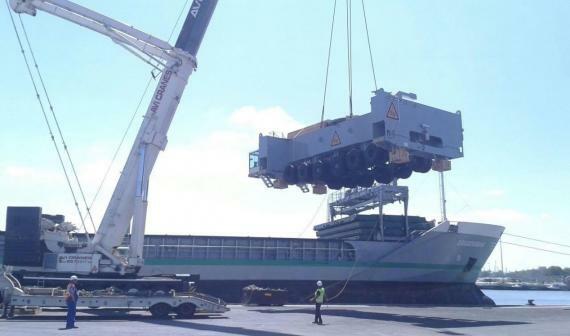 The gantry cranes were carried in pieces from 2 different European ports through the Haifa discharging pier to the designated assembly area under our full management, attendance and control. 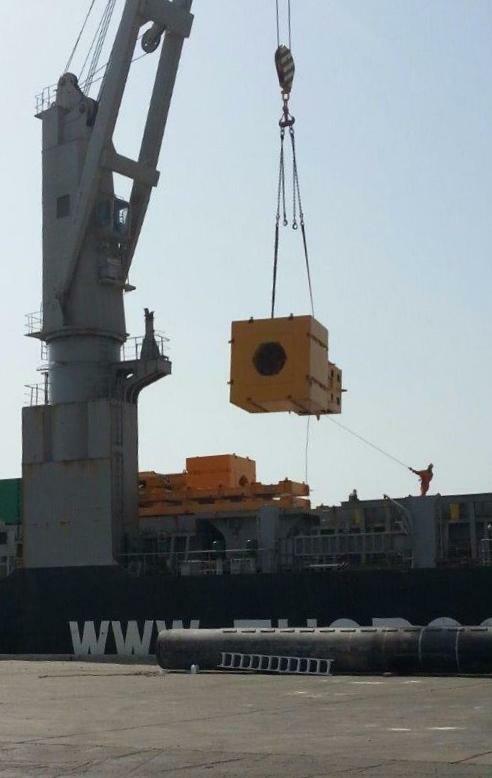 Receiving and discharging a newly built 100mts bulk cargo 'hopper' bought by the Haifa Port Company from a Spanish producer."